1..How do you know me? Through you’re Wandering Wednesday posts. 2.Have we met in real life? 3.What is your bookish inspiration? I read to escape, to be educated and to be entertained. When Hitler Stole Pink Rabbit by Judith Kerr and The Lion, The Witch and The Wardrobe by C.S. Lewis both are books I read as a child that hold nostalgic feelings for me, they are my real comfort reads. 5. 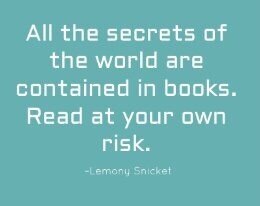 What book got you into reading? 6. What is your fave series and why? I love Eva Dolan’s Zigic & Ferreira series set in a police Hate Crime Unit in Peterborough. It’s a fantastic series with very real stories that always manages to challenge my views about life in the UK. 7. Favourite authors and why? Nicky Pellegrino for her wonderful depictions of Italian life and food. Margaret James is a new author I’ve recently discovered on Twitter who deserves more readers for her wonderful Charton Minster series. 8. Tell us a bit about you and your blog? I’m Nicki a 40 something wife and mother to a 16 year old son. I live on the beautiful island of Jersey where we only have a Waterstones bookshop and a WHSmith to buy books from. Fortunately, we have a fantastic library service over here and all the charity shops sell second hand books too. Twice a year the local guide Dogs for the Blind charity have their second-hand book sales which raise thousands of pounds each time. I’ve dabbled with blogging for years and have been reviewing books for a long time on Goodreads, Amazon and Waterstones but wanted a central place for all my reviews. I had a book blog on Booklikes for a few years but actually started this blog last October when Booklikes looked like it was dying. It recovered but I preferred the new format on WordPress and so made this my blog home. I’m very happy here and have been made very welcome by all the lovely book bloggers out there. 9. What’s your favourite colour? I don’t really have one at the moment. 10. Here’s your chance to tell us all a bit about the last book you read and your thoughts? It was Still Christian a short memoir by David Gushee, an American Professor of Christian Ethics at Mercer University in the US. It caught my attention on NetGalley when I was looking for a particular title. It was a fascinating, and bewildering read at times, making me realise how interlinked religion and politics are across the Atlantic, despite the fact that America is a secular nation! Thank you so much for jumping on board Nicki you have been a tower of strength for my memes and have kept me going. You can check her blog out here https://thesecretlibrarysite.wordpress.com/ her blog is amazing. So today sees the second #FriendFriday here at Hayley Reviews and today I welcome Erica…. 1.How do you know me? My automatic answer here is The Power of One by Bryce Courtenay. This book had such an impact on me the first time I read it, and now it is the book I have re-read the most. For as long as I can remember, I have always been a reader. The very first book I have any memory of reading is Corduroy by Don Freeman. I have to go with Harry Potter. This series is just so timeless and it is so easy to get totally lost in the story. Michael Crichton. I haven’t read a single book by him that I didn’t love! I started my book blog in December of 2016 and have been going strong ever since! I’m so excited to reach my one year mark. On my blog, I post book reviews, comic and graphic novel reviews, book tags, favorites lists, bookish discussions, and other bookish related things. Currently it is mint green, but it changes all the time. The last book that I read and loved was Here and Gone by Haylen Beck. It’s a suspense novel that is sure to get your heart pounding! I thought that the premise was incredibly spooky because it was so realistic. I highly recommend giving it a read if you like thrillers! Also if you want to answer my questions and share your blog and bookish inspiration then feel free to get in touch. So here is the elusive Friend Friday.. thank you Anna and Erica for being my first replies. This is my newest meme, that I hope will bring bloggers closer together. It’s a work in progress…. Today I welcome Anna to Hayley Reviews….over to Anna…. 1.How do you know me? I started following you on Twitter and found your blog like that! 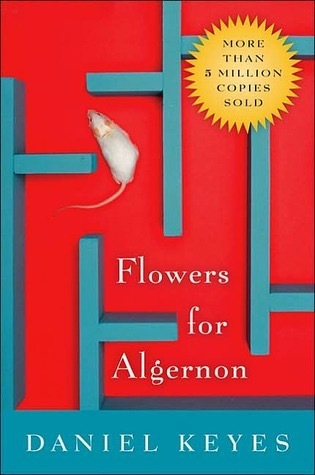 I have SO MANY favorites, but the book I’ve probably read the most is Flowers for Algernon by Daniel Keyes. It’s the kind of book that changed my life – it helped influence what I studied in college, it informed my understanding of what it means to be intelligent, it helped me put the world in a new perspective. This is a book that everyone should read in my opinion. I’ve probably read it at least five times. 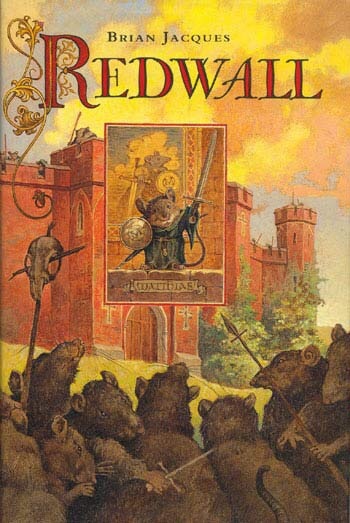 Redwall by Brian Jacques was probably the first series I obsessively read without my parents pushing them on me. I’ve always been a reader (and was raised my readers), but this series was my first independent read and it changed the way I approached books and sought them out. 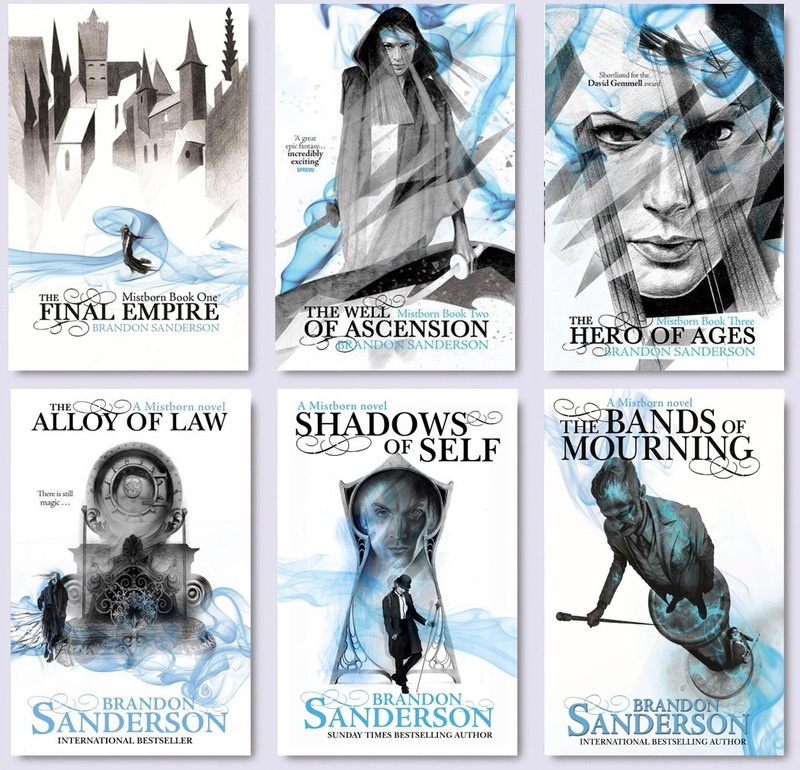 My favorite series changes depending on my mood, my current reads, my nostalgia levels, etc, but lately, my favorite series has been Brandon Sanderson’s Mistborn books. There are six books in the series so far and in every book, I’ve found characters that I love and relate to and excellent fantasy stories (even some wild west steampunky fantasy in the latest few books). I adore the intricacy of the magic system and the depth of the characters. This is difficult to narrow down – My Goodreads says I’ve read Brandon Sanderson the most (which makes sense) and Lemony Snicket, Neal Shusterman, and Roald Dahl aren’t far behind. However, lately, I’ve been reading a lot of Stephen King, Garth Nix, and Orson Scott Card, so they might be my current favorites. My blog, The Bibliotaph (http://bibliotaphbooks.blogspot.com) is my way of pushing myself to write about the things I read. I’m trying to lean more towards SFF books on the blog, but then I’ll read something fascinating that’s completely unrelated and I feel the need to include it. Maybe I’ll narrow down my focus eventually…. As for me, I’m a dedicated reader who loves herbal tea, mix CDs, snowboarding, and goats. I try (often in vain) to bring my interests together on my blog in a way that makes sense. I headed back to school over the summer, so I’m excited to see what new books and learning opportunities school will offer my in the coming months. 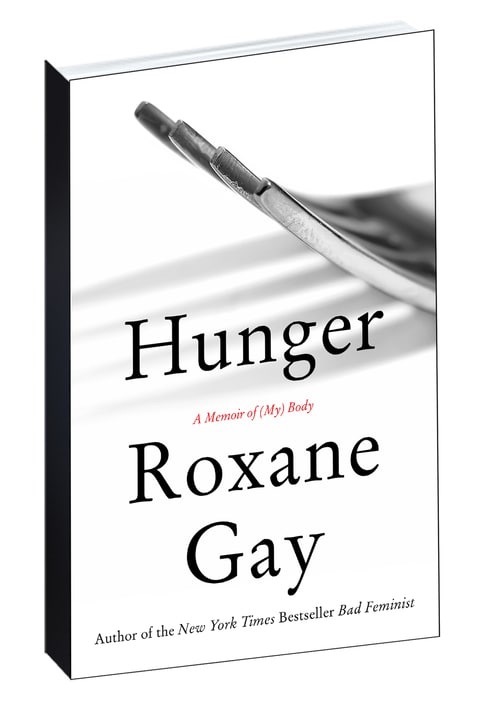 I just finished Hunger by Roxane Gay and it’s a beautiful read. It’s very thoughtful and honest and that was refreshing for me. I’ll probably suggest it to my book club. If you want to get involved drop me a line? And be sure to follow Anna’s blog.